Here's three different residential-grade carpets, all similar in many ways but each also have some very major differences. Take a look at the carpet specifications below and then answer the following 5 questions. Don't consider the color or the appearance of the carpet in your decision, just use the specifications listed and the price. 5. Which Carpet should YOU choose for your home? 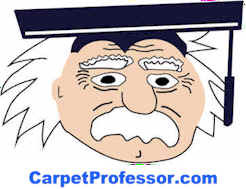 Take my free Carpet Foot Traffic Test to see what grade of carpet you need for your home. 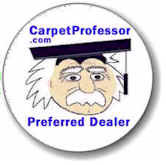 Check out my Preferred Carpet Dealer Directory to see who I recommend near you! If you found this simple carpet buying quiz challenging, just wait until you are looking at dozens of carpet samples inside a retail carpet showroom. That's where most consumers lose their "cool" and make simple but COSTLY Carpet-Buying Mistakes. Was That Carpet Quiz Too Easy for You? Want to take a more challenging Carpet Buying Quiz?